PSD2 came as a revolutionary directive in Europe to create safer and more innovative banking and payment. The idea behind PSD2 was to promote the development of a banking sector that is more customer-centric and offer innovative B2C services. As the directive came into effect in January 2018, it proved to be a game-changer for banks and Fintech companies. Most people in the sector predicted the demise of traditional banking services and will be taken over by Fintech companies. But, both banks and Fintechs are prevailing together in the arena. They have realized the importance of each other to accomplish their goals – to innovate the banking and finance sector with technologies. The directive enabled banks and businesses to come close and work together in favor of offering services to the consumers. The services would enhance their banking experience and let them retrieve more from their money. 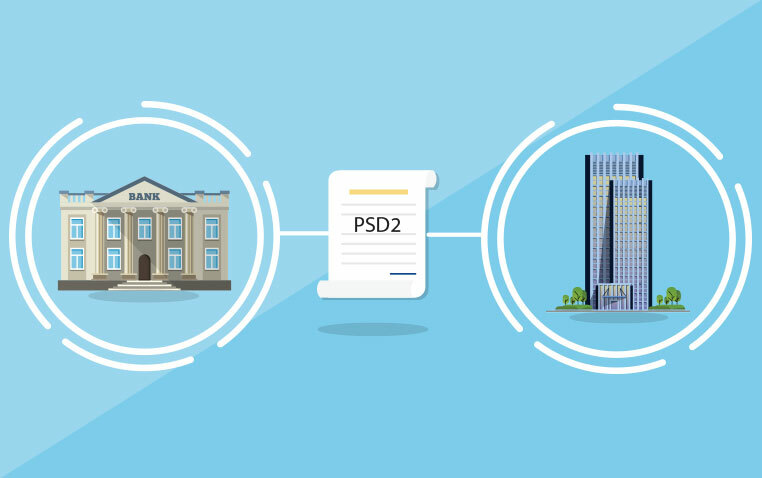 How PSD2 impacts banks and Fintechs? PSD2 came into force to facilitate innovation, healthy competition, and efficiency in the banking business. At the same time, also introduced higher security standards outlined by RTS which will discuss later in this article. Let us now examine how the directive changed the financial domain and evaluate the impact of PSD2 on banks and Fintech organizations. Payment Initiation Services Providers (PISPs) – they initiate payments on the part of consumers through their bank account. Account Information Service Providers (AISPs) – They offer insights into accounts and balances to consumers. Customer satisfaction is critical for any business that seeks to stay in the market for long-term. This intensifies when we talk specifically about banks and financial institutions. Before, customers were not well aware of the complete services offered by their banks. Moreover, they could not alter or modify the services as per their needs which was another drawback. PSD2, on the other hand, focuses more on a customer-centric approach in providing banking and payment services. The directive opens up a vast space of technology to explore newer and more modern services that can stupendously enhance the overall banking experience for the consumers. The use of secure APIs than enable TPPs to build applications and services. Promote open data for better transparency for account holders. Bridge the gap between banks and Fintech organizations. As PSD2 came into force, it also regulated the rules of surcharging customers when they pay through their debit/credit cards and net banking. The directive straightaway banned merchants from charging any extra fees when customers pay through the mediums mentioned above. Meaning, merchants can no longer pass on the fees to its customers like what they do with indirect taxes. However, PSD2 does allow them to charge consumers making payments with their business accounts. In simpler terms, B2B transactions could still be surcharged. PSD2 and Open banking allowed the entrance of third-party payment service providers which we have discussed above. It created a vast opportunity for IT companies to enter into banking and finance sector. However, domain is still highly regulated for them to enter the market. Both AISPs and PISPs will have to comply with the regulations under PSD2 and also apply for a license under the PSD2. For instance, under regulation 6 of PSD2, a PISP must: (1) a company based or should have its registered office in the UK, (2) comply with older EU regulations such as UK money. Knowledge: something only the user knows, such as a PIN or a password. Possession: something only the user possesses, such as a token or a card. Inherence: something the user is, such as a fingerprint or an iris scan. As you already know, PSD2 has set a framework for new services linked to users’ bank accounts with AISPs and PISPs. In this regard, RTS will specify requirements for common and secure communication between Fintech companies and banking institutions. PSD2 does not mean that traditional banks will shut down. It means, there is a great opportunity for banks and businesses to come together and collaborate to build new lines of financial services. Open Banking and PSD2 will push innovation and help the market to embrace technology to achieve greater heights. New services and methods will be developed that will offer equal opportunities for banks and businesses to exist together and succeed. How Can Digitalization Benefit the Lending Sector?